Located not too far from Mai Chau Ecolodge, Moc Chau is a well-known destination that when mentioning to it, most people will also remember the green tea hills, milk or romantic wedding photos with cherry and plum blossoms, etc. However, for each of us, after the visit to give gifts to children in Tan Lap Commune, Moc Chau District at the beginning of March, Moc Chau makes us remember Phieng Canh with the naive and eager eyes of Hmong child when his friends get chances to come to school, learn to draw, learn to dance, etc. Derived from a desire to help 40 remaining children to get chances to study, and furthermore to improve the quality of studying Kinh language (national language), Mai Chau Ecolodge coordinated with the charitable group operating independently named “Building School For Pupils” decided to design and build a simple but stable preschool for children in Phieng Canh. When hearing about the plan to build a preschool for children in Moc Chau of charitable group, some people asked: “Why is building a preschool necessary? In many places, children still go to school normally without preschool.”- Yes, that’s right. In some rural areas of our country, there have been many children who can go straight to primary school without preschool. 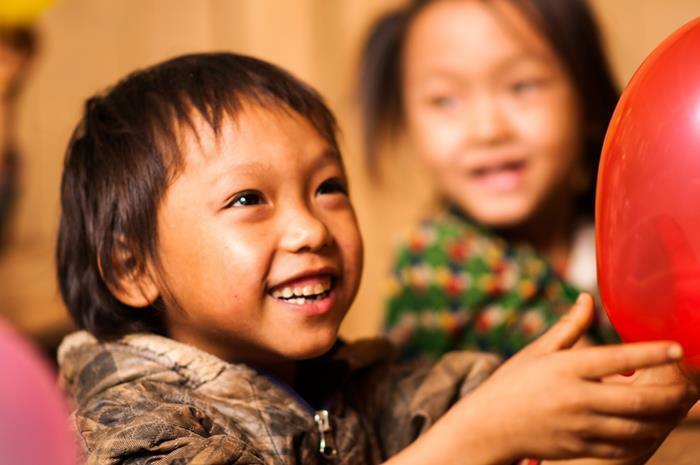 But for the ethnic children in general, and children in Tan Lap Commune, Moc Chau District in particular, going to a preschool is to learn Kinh language and prepare the foundation for further education. 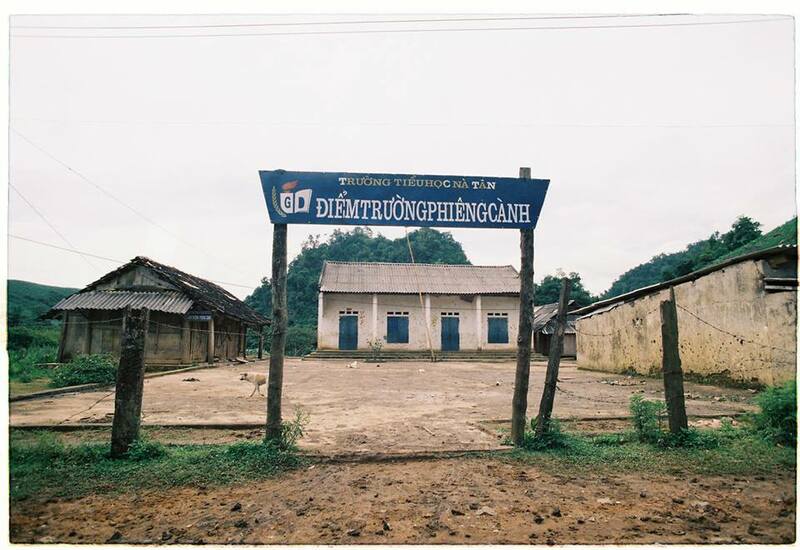 However, there has been no preschool in Phieng Canh. The 3-5 year old children have been studying in the destroyed temporary wooden houses with the area of 30m2 borrowing from the primary school; it’s only enough for 60 pupils in the total of 100 pupils. Many children must come back home every day because the school has no kitchen. Some children go home at noon and do not return to school any more in the afternoon because their houses are too far from the School. Due to such difficult conditions, there is a great amount of children quitting school each year mostly because they are not fluent in Kinh language, so they cannot keep up with the program gradually leading to a boring psychology and then they quit school. Meanwhile, Phieng Canh is one of the poorest villages at the locality as well as a drug hot spot. For years, drug has caused severe consequences for the socio-economic development of the district, destroyed many families, made children get orphaned, hungry and cold, homeless, no care and education. The implementation of propaganda about the harmful effects of drugs here has not been effective because few people know and master Kinh language. 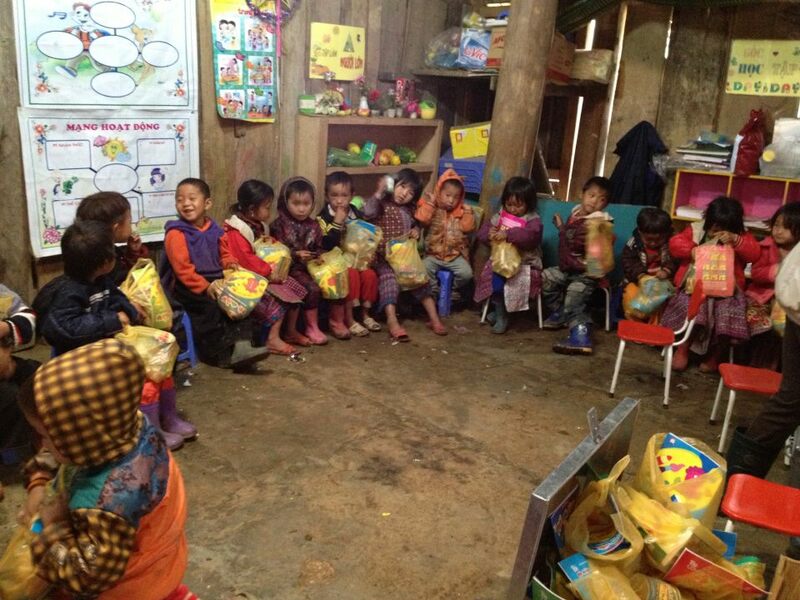 Until now, Mai Chau Ecolodge’s staffs have donated to the “Building Schools For Pupils” team. To realize this dream, the support and contributions of the warm-hearted and kind people are an indispensable part. A hand has not been enough, but other hands and then a forest of hand connect together, we believe that children in Phieng Canh will have a school to learn, to play and open the gates of knowledge to touch the future.